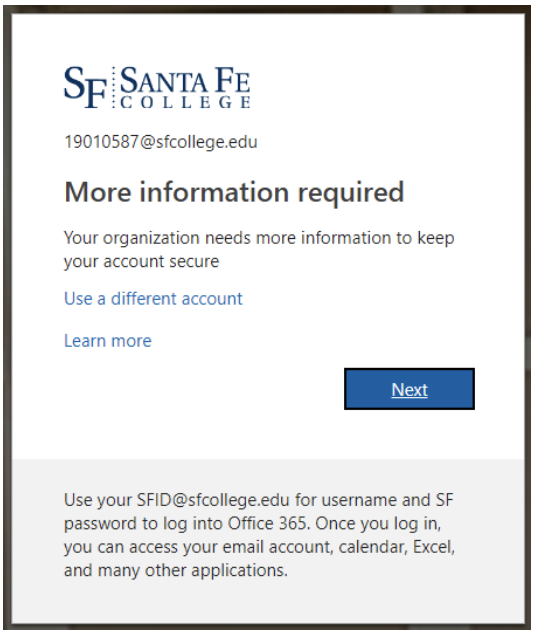 Santa Fe College’s Information Technology Services (ITS) department is changing how you update and access your password. This will apply to SF students, faculty, and staff when they log in to their SF accounts. Effective Jan. 22, 2019, the first time you access your SF account, you will be prompted to give additional information. SF students, faculty, and staff must provide an alternate phone number – your cellphone for text/voice messaging, or home phone for voice only. 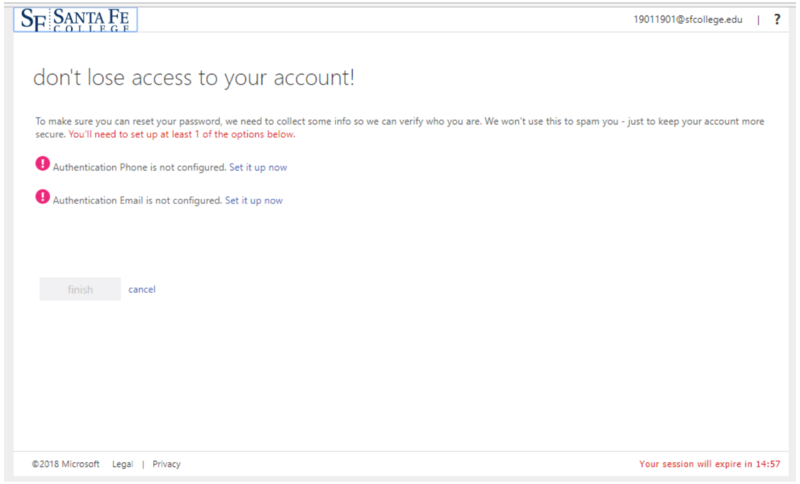 Or you can provide an alternate email address – your personal Gmail, Yahoo, aol.com or whichever personal email you use. The purpose of this change is to give you more security and control over your passwords, but of course, if you have any questions, the ITS Help Desk is always available to offer assistance. Contact them at help.desk@sfcollege.edu or call 395-5999.